Oris was founded in Switzerland in 1904. The Holstein region was the area Oris first set up their operation before spreading out their manufacturing to other areas of the country. 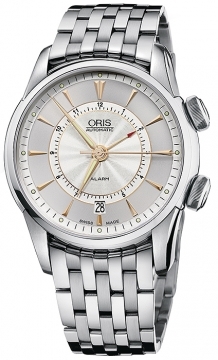 Oris was founded by Georges Christian and Paul Cattin. Christian was the head of the Oris Company until died in 1927. At first the company started off with 24 employees and its first of 10 manufacturing plants opened in 1906. It only took Oris 5 years to build its workforce up to 300 employees and become the biggest company in the region. Oris watches followed the principal of form follows function producing mechanical pocket watches of high quality until 1925 when they started to produce wristwatches. Oris was able to bring down the cost of components and materials by opening its own production plants such as one for electroplating. 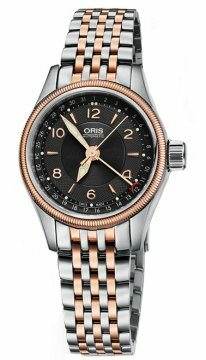 In 1928 the founder’s brother in law, Oscar Herzeg took over as CEO of Oris and for the next 43 years the company boomed. Oris opened another production plant for dials in 1943 further enhancing their production capabilities. To further enhance the public image of Oris watches a certificate of legitimacy was awarded to Oris from the Swiss office for precious metals to recognise the quality of gold plating on Oris watches. Throughout the fifties and sixties Oris continued its rise and at its height employed over 800 people and solidified its place as one of the top ten watch producers in Switzerland. Two famous Oris watch movements were produced in the sixties, the cal. 645 and the cal. 652, the latter of which earned a full chronometer certificate, the highest award for watch precision. While these were massive achievements for Oris watches, the good times did not last long. The quartz crisis of the seventies hit Oris hard. 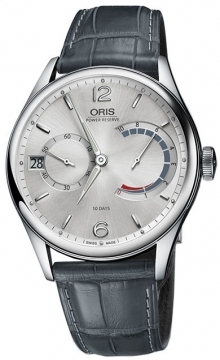 Even though Oris market position was that of a company producing very high quality watches at low prices, they could not compete with the cheap movements from the Far East and this led to a large number of closures and job losses. While these were bad times for Oris watches they only lasted until 1982 when a buyout of the company led to a resurgence in innovation and a new direction for the Oris brand. Throughout the nineties Oris produced many complicated movements and set about defining its four key areas of association – motorsport, culture, aviation, and diving. The cultural aspect of the brand was solidified when Oris watches sponsored the London Jazz festival and this in turn led to a number of limited edition pieces being produced bearing the name of famous jazz musicians. The BC3 Oris watch released in the late nineties was a simple and bold design that pilots an aviation enthusiasts found great favour with. Oris sponsorship of the Williams F1 team started in the nineties also and continued into the 21st century. 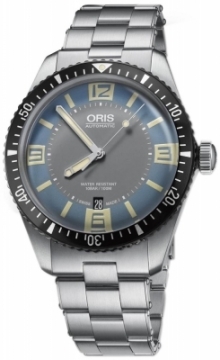 Perhaps the area of the Oris brand which has grown the most in the 21st century was their range of diver’s watches. They formed a partnership with Carlos Costs, considered to be one of the best divers in the world and while this association benefitted Oris, it was the range of Oris diver’s watches released which really appealed to consumers in terms of their price, build quality, and design. Today Oris is part of the Swatch Group.